Flag football got a little must today at xlr8 camp! 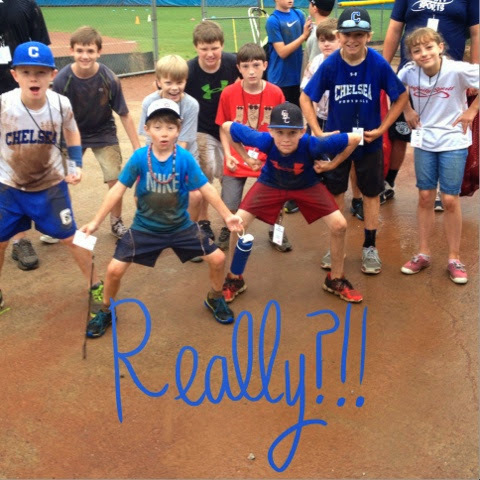 The fields were already muddy from all the rain and the flag football boys decided to work on diving catches today! Needless to say that brought back some dirty muddy boys! We went to watch Katie play softball tonight! We also enjoyed seeing the Hillman's too! 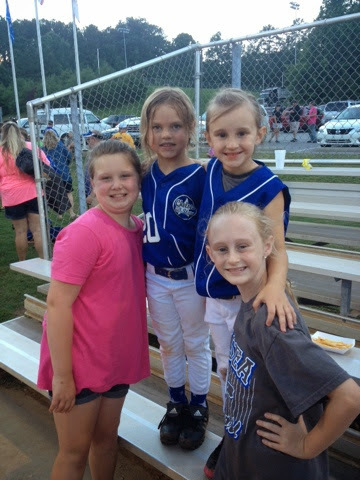 Allie plays on the same team as Katie and so Ella and Brylee got to hang out too! They won and we all went to Dairy Queen to celebrate! 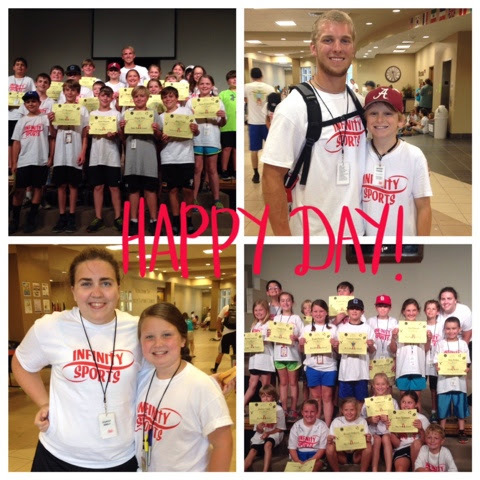 Jackson and Brylee had a great week at camp! Jackson's coach was Coach Jackson... They were Jackson Squared! Brylee's coach was Coach Emily! They are pictured here with their group and their awards! Jackson got the Mr Chef award from his track time in Kitchen Connecion! Brylee got the Miss Bible Study Award for always being eager to learn and listen to the Bible Story each day! 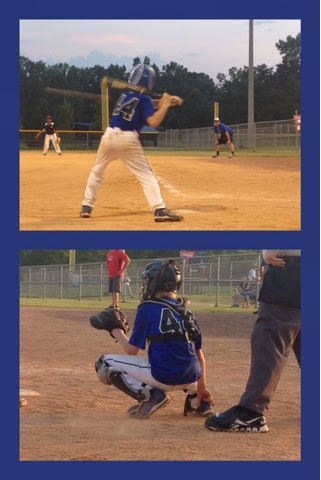 It was not a very good day at the ball park for JP and his team! They lost both of their games on Saturday and lost their game Sunday! These boys are getting tired... Their last tournament is this coming weekend! I know it will be bitter sweet! 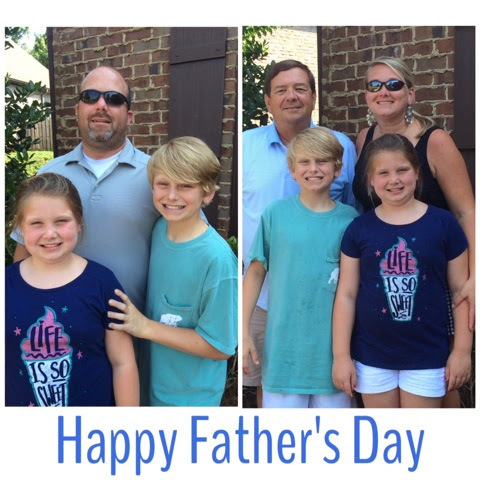 Celebrating Father's Day with the two most important men in my life! I am one lucky lady! We enjoyed lunch at mom and dad's house and then we headed to the lake that evening to celebrate with Richard's dad! We enjoyed a day at the lake today! Wow! Going to the lake during the week will spoil you for sure! We had the whole lake to ourselves and the water was like glass! 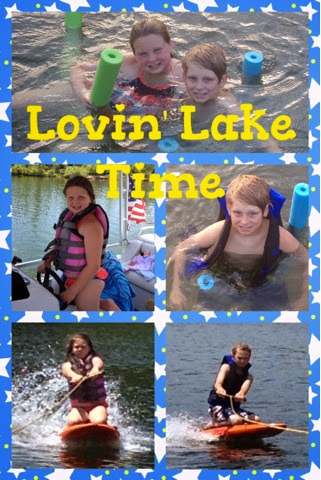 The kids loved kneeboarding all over the lake! It was a great time of lake fun, grilling out, and homemade ice cream making! It's days like this when I wish summer would slow down... It's going by way too fast! 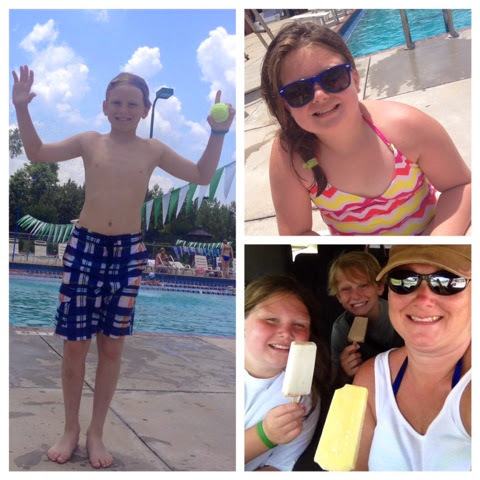 Today we went to the pool for some swimming and playing time for the kiddos and laying out time for mommy! We stayed 4 hours which means everyone is tired and resting this afternoon until ball practice! Thank you swimming pool!!! We made a pit stop by Steel City Pops on the way home! Gezzz we are addicted to that place... You would think since our daddy was the ice cream man we would be sick of ice cream but we are not!